Your reception area gives you an opportunity to make a lasting first impression on your visitors. Reception furniture is key to this impression. 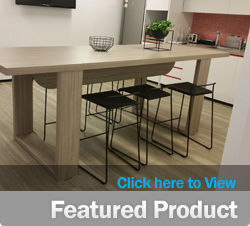 Emanate Design has worked with many clients to design and install furniture that makes a statement about their corporate identity. This identity might be traditional, retro, high-end corporate, funky or whatever best suits your business. Reception area furniture can be designed to give all these impressions. 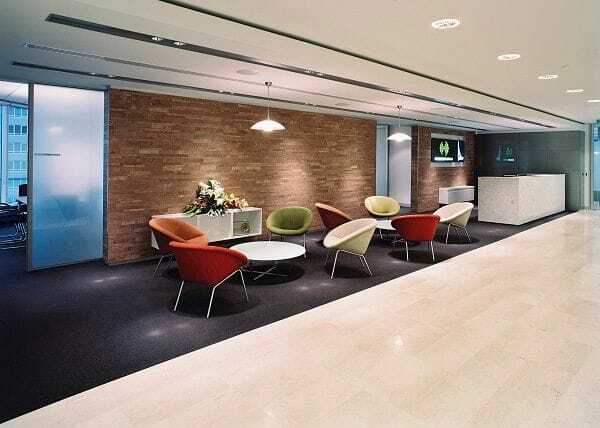 Whether you want a simple reception desk and visitor chair set-up or an area suitable for a coffee and chat, Emanate Design will have furniture to suit your needs. Waiting room seats and guest chairs, coffee tables and side tables, reception desks, replica furniture, ottomans, tub and lounge chairs; our reception and lounge furniture is available in different upholstery and finishes. Based in St Peters in Sydney, we work with clients throughout Australia. No job is too large or too small.